Looking For Child Care Agencies? Canadian Nanny is a leading nanny service helping families in Toronto find a live in or live out nanny, a full time or part time nanny, mother’s helper or au pair service. Clients can find a trustworthy nanny to provide the highest level of care and attention to their child. Each nanny profile lists qualifications like years of experience, level of education and age. 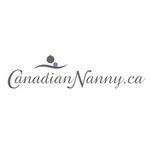 Products Carried: Canadian Nanny is a Toronto nanny agency offering nanny services to families with an easy-to-use, complete database of qualified and experienced nannies for hire. Clients select a nanny that is best for their children and the family, whether it is a live-in or live-out nanny, full time or part time nanny, mother’s helper or au pair service.